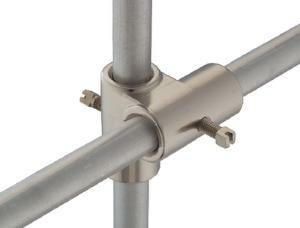 Use this rod end connector when semi-permanent installations are required. Holds rods firmly at 90°. Comes with two set screws and is precision bored for close fit with 13mm (1/2") rods.